The complete visitors’ guide is crammed with essential information about the Western Region’s unspoilt gem, Al Gharbia. 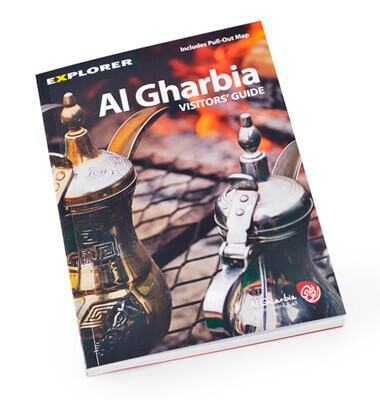 It may be small enough to fit in your pocket, but it is jam-packed with all the essential information you could possibly want about Al Gharbia and beyond. Perfect for tourists and weekend breakers, the guide features colour-coded sections for easy reference and includes useful information, visitor attractions, places to stay, shops, restaurants, activities and much more. An indispensable pull-out map will also help you find your way around.